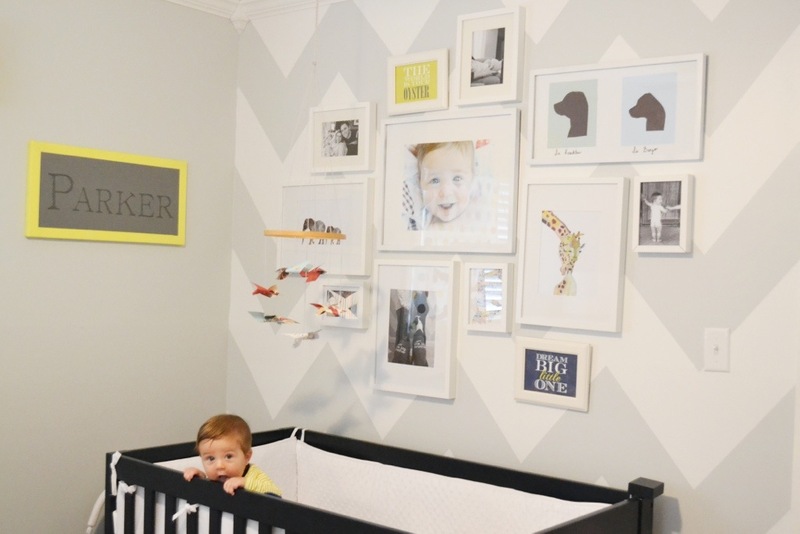 You know how I’ve never done a nursery reveal? 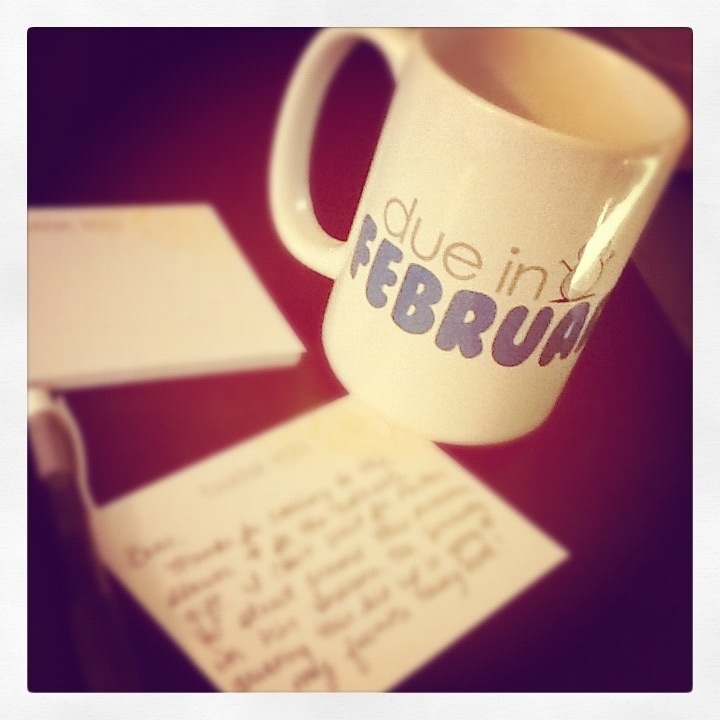 Yea, about that…I only had 2 DIY projects left to do before I was ready to consider the nursery finished and then Parker was born 10 days early and those projects got pushed WAY to the back burner. I’m really still wanting to do a nursery room rundown so I’ve decided it’s high time to get on these two projects already! 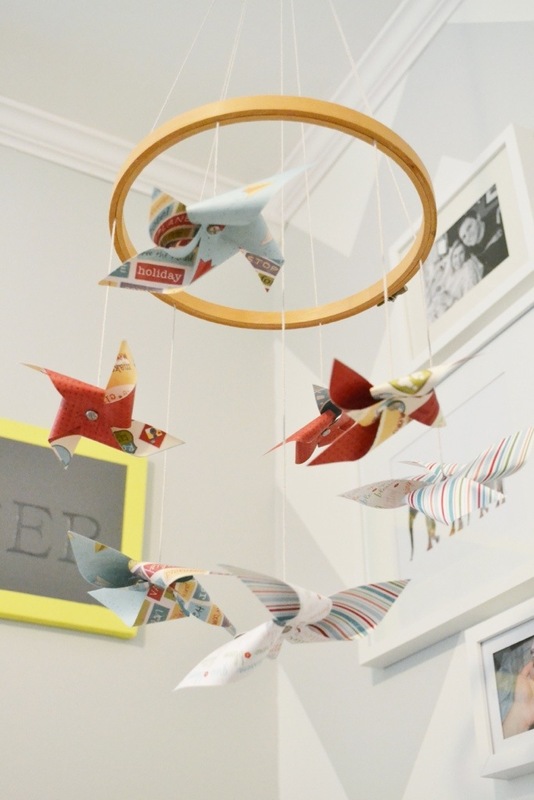 So this weekend I finally tackled one of them – a pinwheel mobile for above his crib. The funny thing about waiting to do this was that it actually only took me a couple hours to accomplish…oh well! 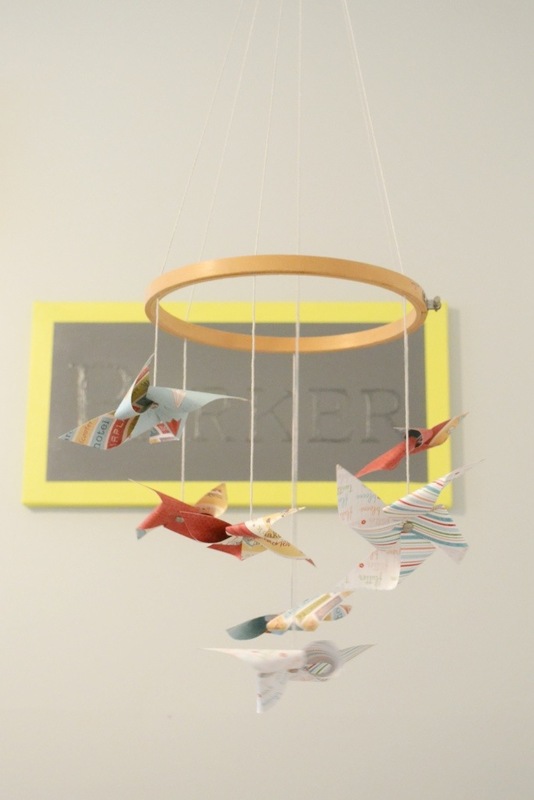 I was inspired by these mobiles on Esty and while I think they are priced right (based on my experience of the work put in to making mine) I just didn’t want to spend that much on a mobile so I decided to try it myself. 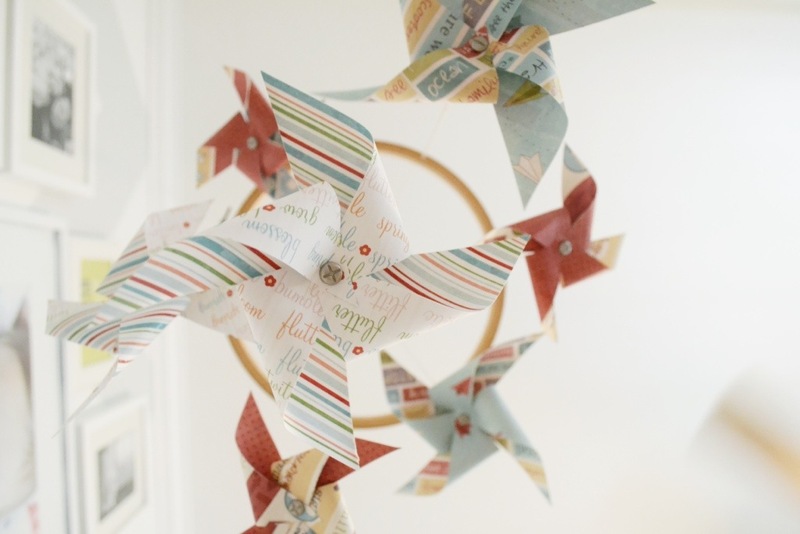 I used this pinwheel making tutorial and then just made up how to put the mobile together as I went. So sorry, no real instructions since I was just trying to make one with as much material as I already had on hand and based on photos of other pinwheel mobiles I found on the web! I found the double-sided paper and brad’s at Michael’s, already had the yarn on hand and a friend had bought me the embroidery hoop when she was thrifting (for a mere .50!). So this project only cost me like $5 max. I also already had the hook I put on the ceiling to hang it. Parker was transfixed on it when I set him in the crib for the first time and when I turn on the ceiling fan they slowly spin and are even more mesmerizing! Since making this I’ve been slowly plotting on how I can incorporate pinwheels in other aspects of my decor (without creating my own mini wind farm mind you). Fall pinwheel wreath, mini pinwheel cupcake toppers, pinwheel holiday ornaments…the list could go on! Move over buntings & chevron everything, pinwheels are the next big thing! 1. 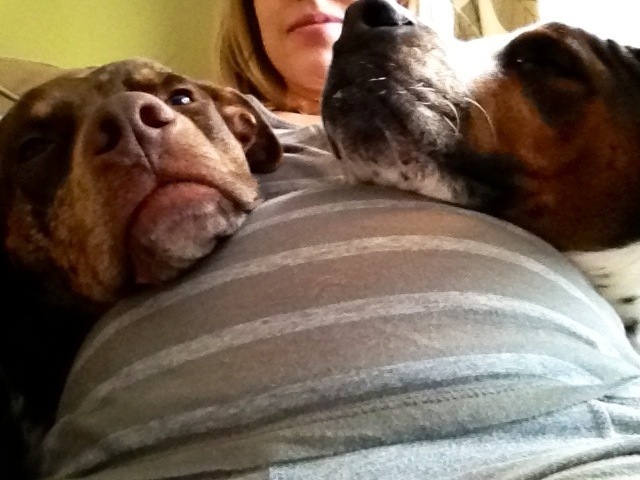 The dogs really seem to be embracing the bump. Until Parker decides to karate kick their jaw that is. 2. Had a lovely shower this past weekend hosted by my best friend (more details later). I couldn’t wait to get home and write all my thank you’s for the wonderful gifts received! And what better mug to drink out of while doing so than that? 3. Found some fun wrapping paper at Target to line the dresser/changing table. Didn’t take the musty smell out of the drawers (still working on that), but it sure looks purty! 4. 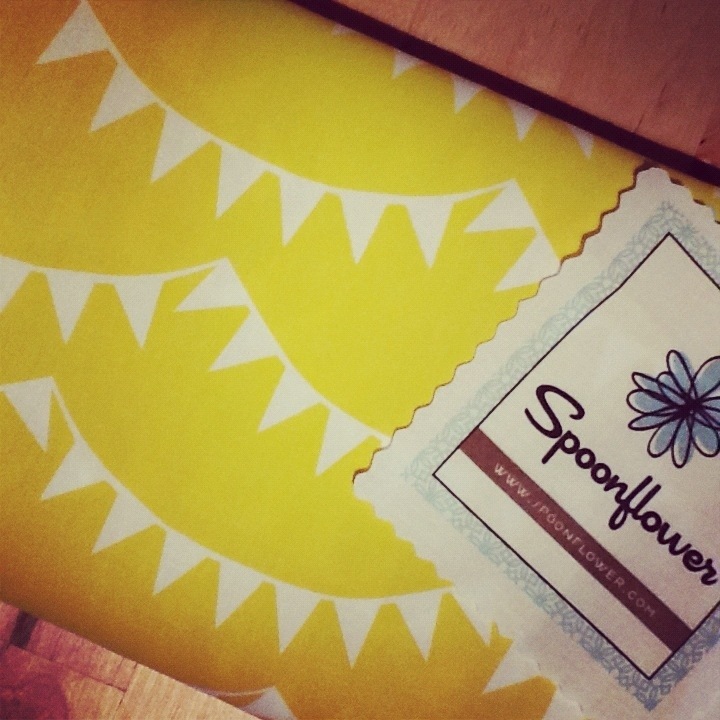 Received my Lemon Pennant fabric to make the crib skirt and window treatments in the mail from Spoonflower! Loved it in person even more than I did online! Let’s cross our fingers I keep in high spirits as I actually try and sew it all together. 5. The crib officially has a mattress. 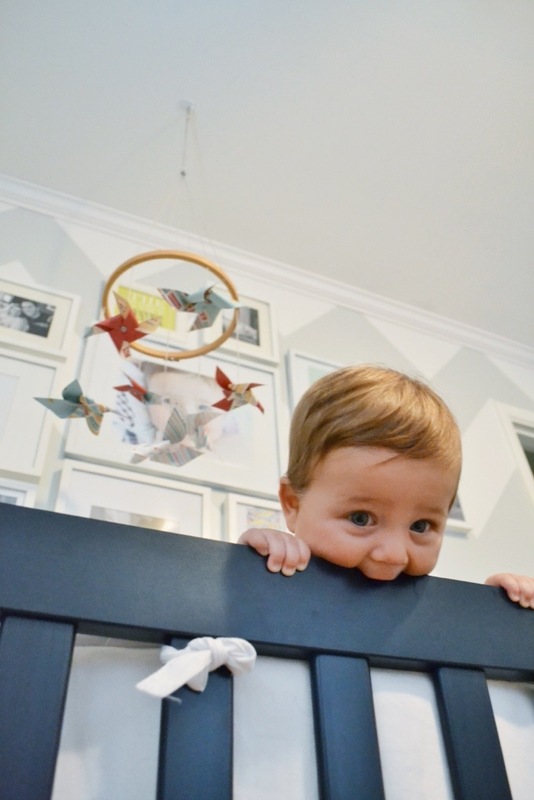 We went with a 2-sided organic mattress by LA Baby. 2-sided meaning one side is more firm for when he is little and the other side is more soft for when he is a toddler. I’m all about multi-tasking. 6. 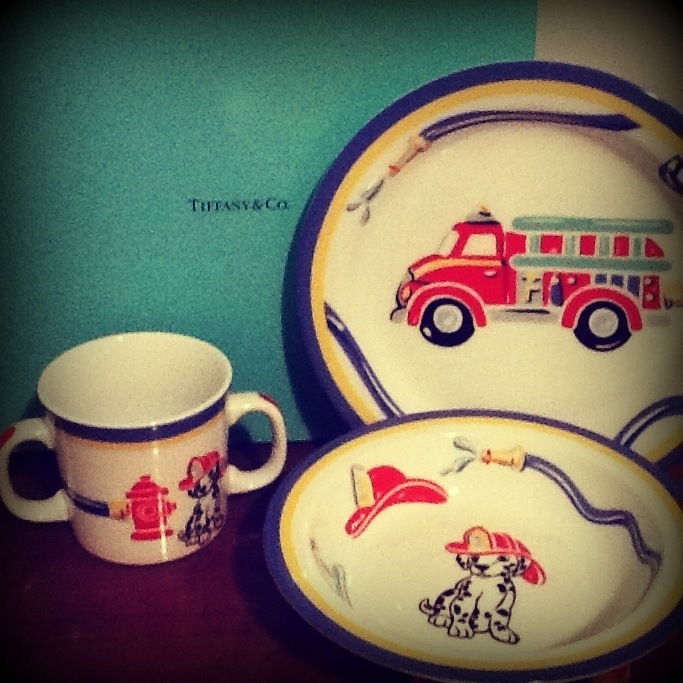 Somehow Parker received his first item from Tiffany’s before me. I am 27 and he is in womb. How does that happen? The generous gift was given by a handful of people I work with. Something tells me I won’t let him touch it until he has a child I can hand it down to. Boys & china don’t mix last time I checked…no matter what age! Hello friends! Sorry it’s been awhile since an update. But I have lots to share this week! I wanted this post to go up this past week but with the dreary weather and the fact that it’s dark when I wake up and dark by the time I’m home from work I wasn’t able to get great pictures of the nursery until today. But starting Thanksgiving weekend we really started to get things together for the nursery. When I left you last all we had done was painted. 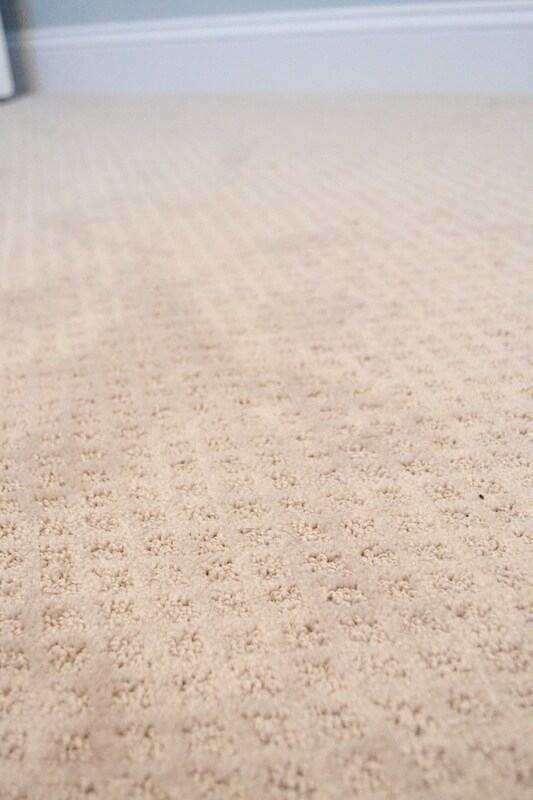 Well with the help of Brothers Floor Covering (a local store here in Indy – great people!) 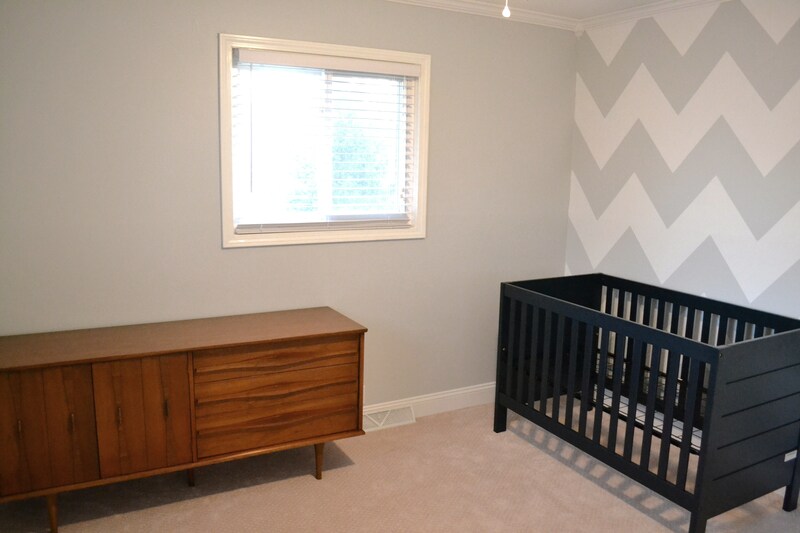 we now have nice new carpet in the nursery and in our master bedroom! I thought I would miss the hardwood, but the carpet really makes the rooms feel larger, brighter and warmer. We also put up new trim, crown moulding and a ceiling fan with light (the latter thanks to my dad and father-in-law for their electrical know-how!) While the room already had a light switch that was connected to an outlet there wasn’t an overhead light so Eric had some fun crawling through our attic with our dads giving out the instructions. 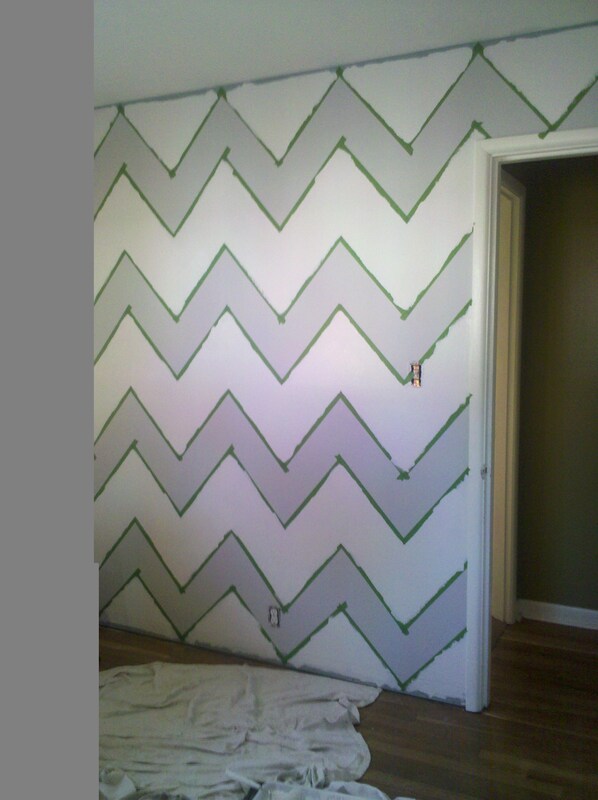 So this is what the nursery looks like now as you enter from the hallway. The big baby gift from my parents was our crib. I had searched and searched (and searched!) online and in stores before finally finding what I wanted – well let’s be honest I found plenty I liked right away but they were always upwards of $800 or more! 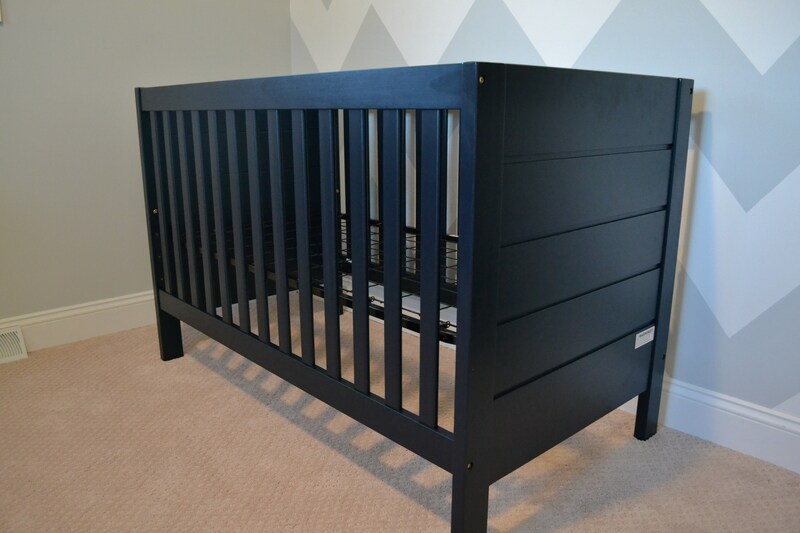 Originally I wanted a birch or similar light-wood crib, but after spying this navy crib from Walmart.com (for only $200!) I changed my mind. What sold me was the fact that it transitions to a toddler bed so if our second child is a girl then we could just buy another crib since Parker would need a toddler bed anyway. 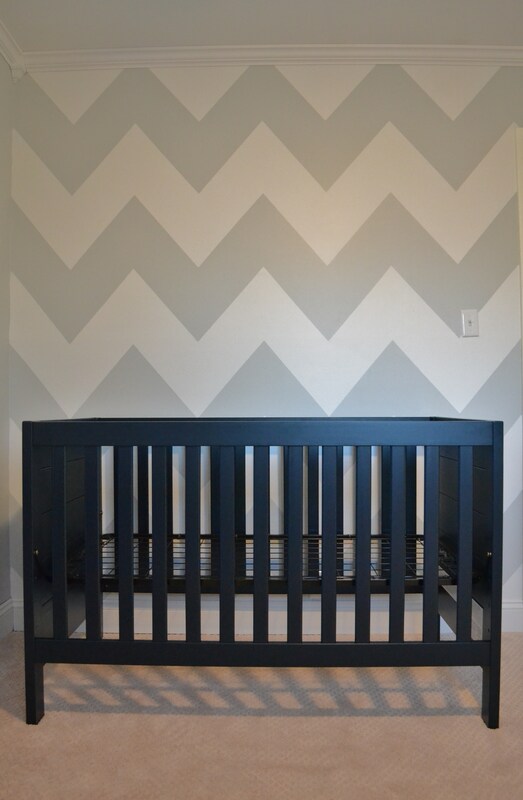 Or I recently saw this nursery concept on one of my favorite blogs and think you could also totally pull off a navy, coral and white nursery for a girl too. I did a bunch of online research about the brand and thanks to my friend who loaned me her Baby Bargains book I saw that they gave the brand a good rating and even said they had never had any kind of safety recall – always a plus! 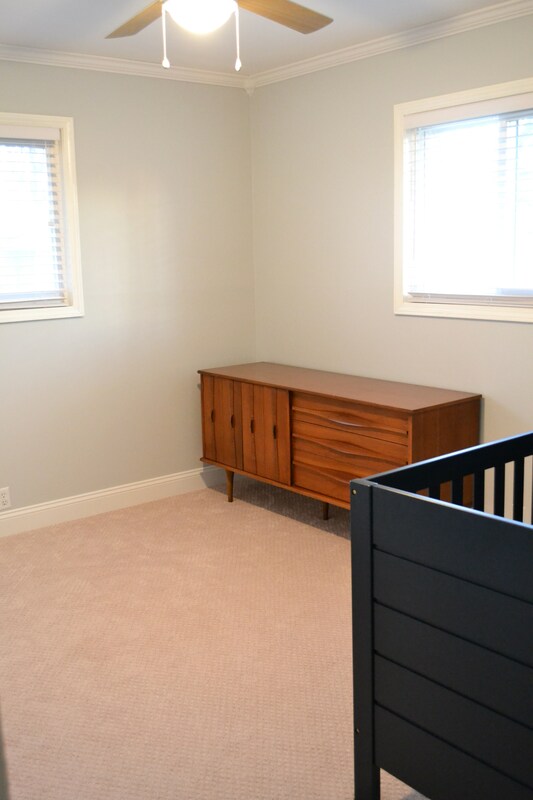 As you saw in the earlier picture we also have a dresser/changing table. This used to be in my Mamaw’s house and has been stored in my parents basement for the past five years since she passed away. 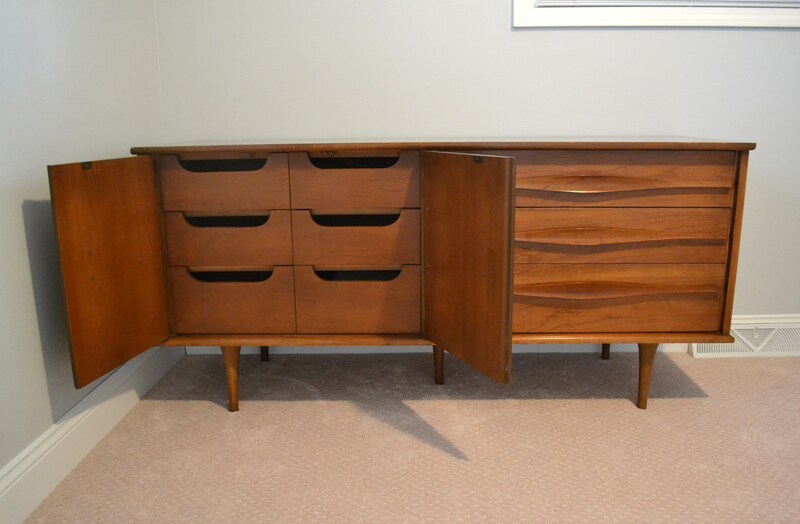 I knew I wanted a mid century style dresser and had been stalking Craigslist for several months when I remembered my Mamaw’s old furniture. Since it had been awhile since seeing it (and since the last time I saw it I was probably in high school and had zero interest in furniture) I couldn’t remember what it looked like. So the next time I visited my parents I went downstairs and checked it out and immediately knew it was the one. Not only was it better than anything else I had seen, but it was my Mamaw’s so that made it extra special. And hey, being free isn’t so bad either! I had considered refurbishing it and giving it a two-toned look, but because the condition of the dresser was so great and because my mom still has a matching tall dresser I decided I didn’t want to change it. And lets face it, I’m already running out of time with too many other projects to complete! 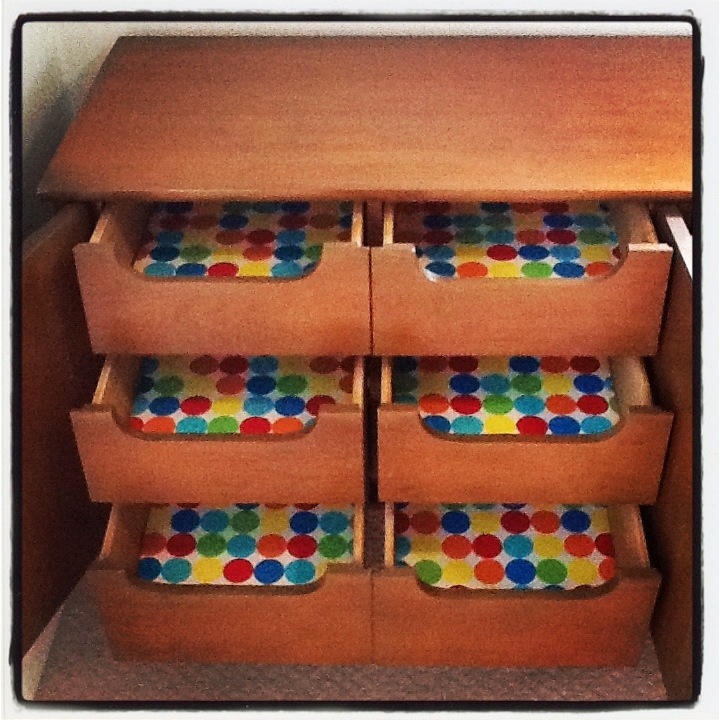 My favorite part of the dresser is when you open the side doors – look at all that storage! I’m not positive this will stay the dresser’s final resting place in the nursery, but for now we’re going to see how it works. 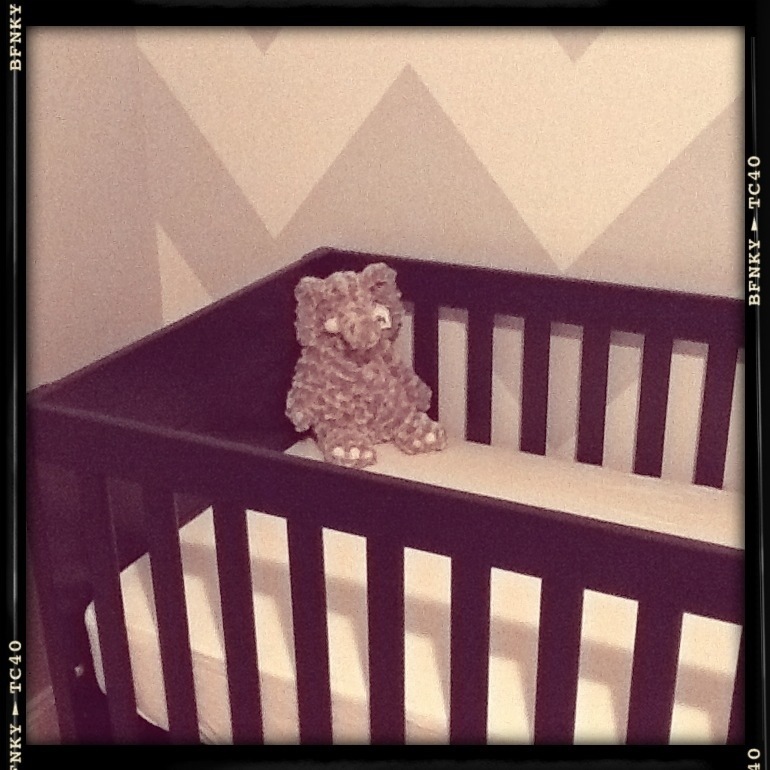 So there you have it, that’s our nursery update! We hope to be 90% done or more by the end of December. Next weekend we are making a trip to IKEA. I plan on buying a bunch of frames for my gallery wall above the crib, a lamp or two, a bookshelf, some storage baskets and possibly a rocker/glider or armchair if they have one I like that’s comfortable and the right color. I’m sure we’ll find plenty of other things too but those are our biggie items we’ll be on the lookout for. So happy with how it’s coming along! Eric and I have a 3-bedroom house. Pre-baby we used the rooms as our master bedroom, a guest bedroom and an office. Now that Mini Matto is on the way we are changing the guest bedroom to the nursery and the office is now a combo office/guest bedroom. It’s a little tight in there, but we don’t have overnight guests that often so we figured the baby should get the bigger room. Plus, from what I hear, babies come with lots of stuff. So when browsing for nursery ideas where do you think I turned? Pinterest, you say? Oh, but of course! Pinterest is my go-to for all things time consuming. Luckily I did have a few ideas up my sleeve before going online otherwise I would have been a bit overwhelmed with it all. While I want people to be able to tell it’s a boys or girls room I want it to whisper “boy” or “girl” more than shout it. So things like the paint color, bedding and furniture I wanted to be gender neutral. One, I thought that was a good idea in case at delivery we find out the ultrasound tech was wrong and two I’m indecisive and so wanted a room I could switch around the style easily in case I get tired of it. So while the big items would be gender neutral I would boy or girl it up with accessories and decor. This also meant no theme. I knew if I picked “teddy bears” or “ballerinas” my eyes would start bleeding after a couple weeks as I went in for 3am feedings . I also heard from other moms that telling people you’re going with a theme prompts people to get overzealous and buy you something anytime they run across an item that goes with your theme. And who likes hundreds of stuffed teddy bear eyes staring at them while they breastfeed? The only thing worse than that would be clowns…plus that’s just asking for your child to have issues (sorry, clown lovers). 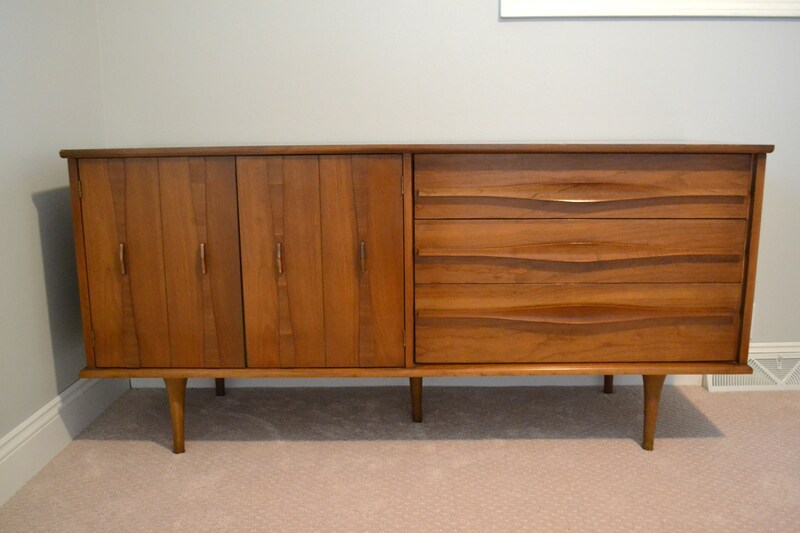 I’m drawn to the style of Danish & Mid Century furniture. I like the clean lines of the natural cribs. The excitment of the rooms are in the detail. A quick look at the room might make some think “boring.” But once you walk around and look at each item closely you realize everything has a story and a reason for being there. I knew I wanted to DIY as much as I could. 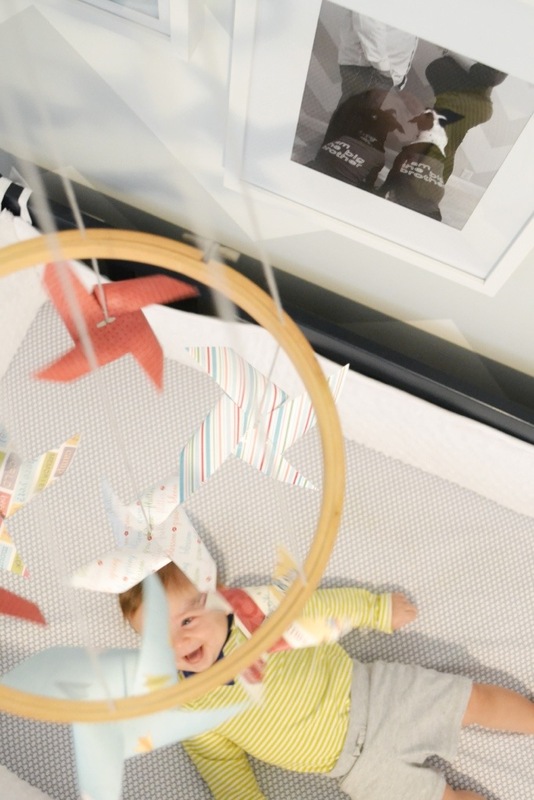 I wanted to make it personable – I wanted the room to be my babies and not some catalogs. 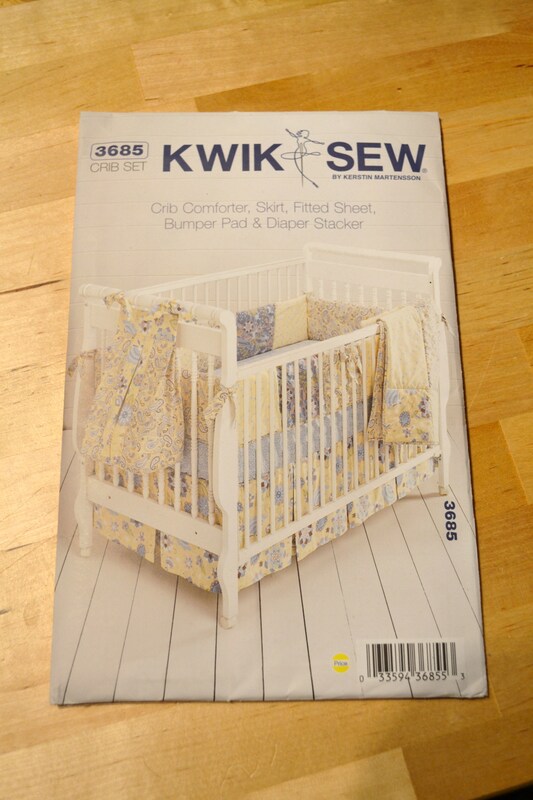 Hence, when I couldn’t find any crib bedding that I liked (or could afford) I decided I was going to bring back my high school sewing class skills and make one myself – yes, you read that right. So I have a pattern (shown below) and will update you as it progresses – or just pisses me off, because surely that’s an option with sewing. So, where we are right now. 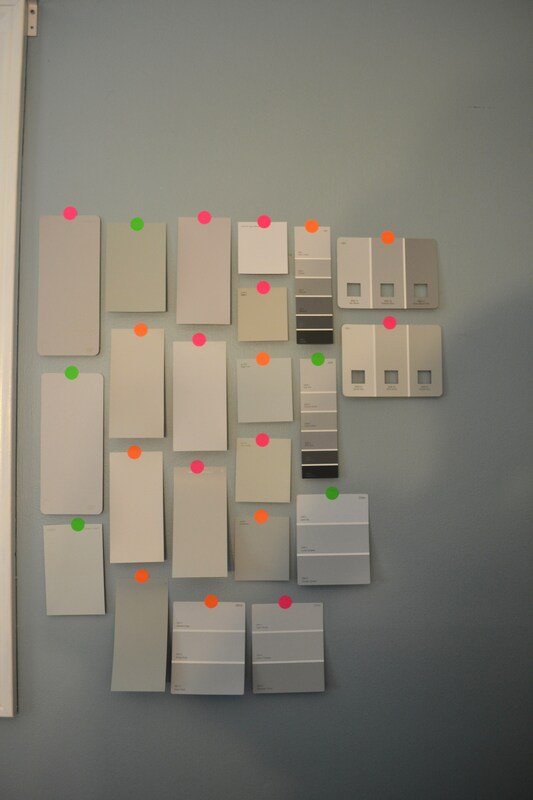 First, I went to Home Depot and Lowe’s to look at all the gray paint swatches. I came home with WAY to many. I suggest trying to narrow it down to 3 or 4 before you leave the store because coming home & doing this, did not make the decision any easier like I thought it would. But after staring several times throughout the day and a quick game of Eenie Meenie Minee Moe, I made a decision. So on Labor Day the paint crew (consisting of Eric’s parents and my friend, Breena) came over. The color I chose, in case you’re curious, is Martha Stewart’s “Heavy Goose.” in an eggshell finish. 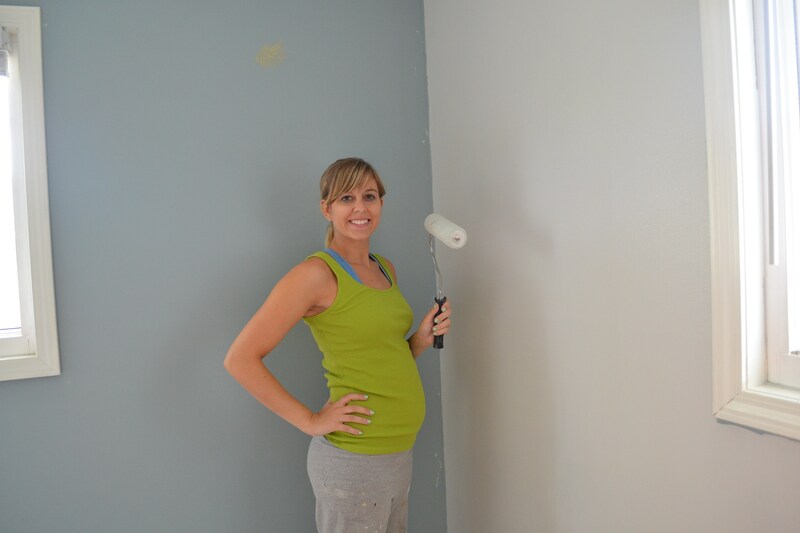 Don’t worry, I read up on the dos and donts of painting while pregnant and I was good to go. 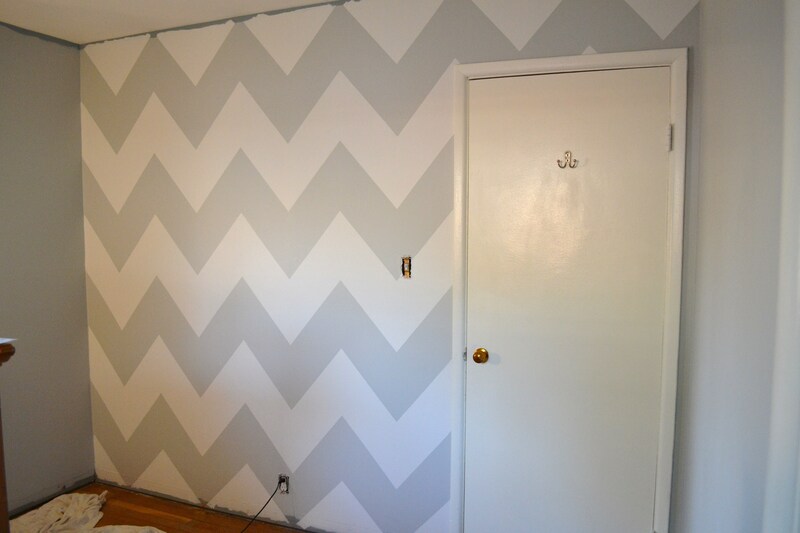 Plus, I got extra safe and bought low VOC paint and kept the room well ventilated. Here is a quick pic of me in action (left wall, old paint. right wall, new paint). Finally peel the tape and TA DA! 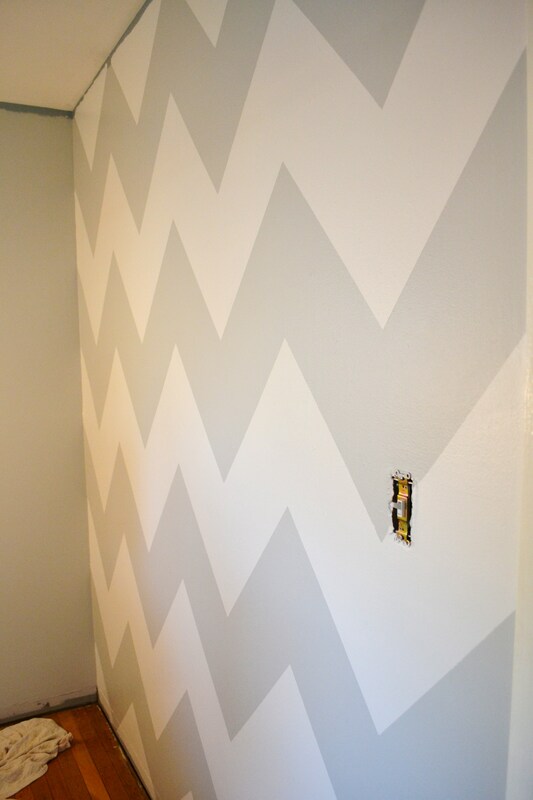 Instant chevron wall! This wall is where the crib will go and above the crib I plan on doing some type of gallery with picture frames. 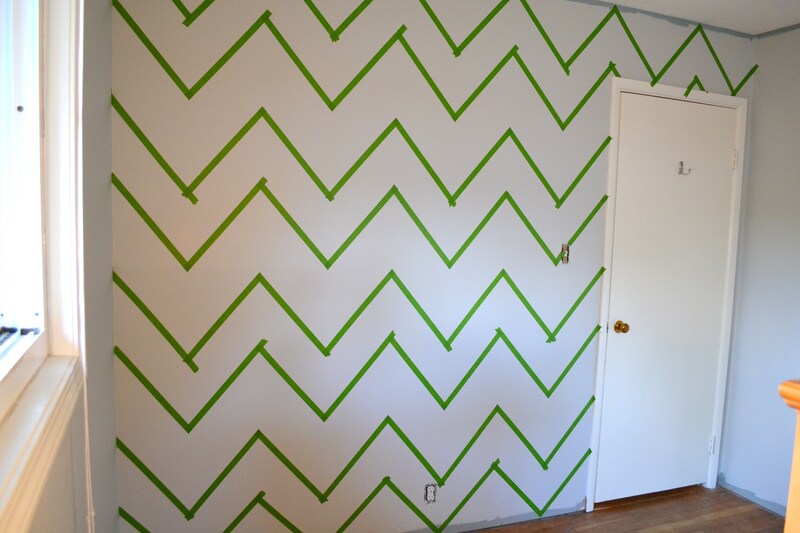 If you’re wanting to do something similar yourself I definitely recommend Frog Tape. They pride themselves on their ability to not let the paint bleed through and to leave a sharp, straight edge when peeling and I’ll have to agree. It costs a little more, but I thought it was worth it to guarantee straight lines. Alright that’s it for this nursery update. Whew, I’m exhausted! Not sure what I’ll tackle next, but you can rest assured that you’ll hear about it!